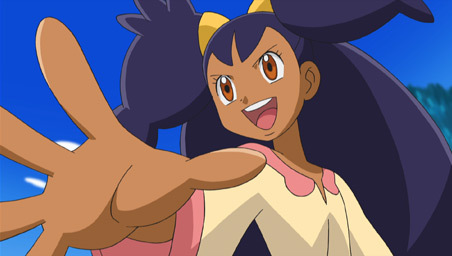 As Ash and his friends continue toward Nimbasa City for Ash’s next Unova Gym Badge, Bianca challenges Iris to a battle! 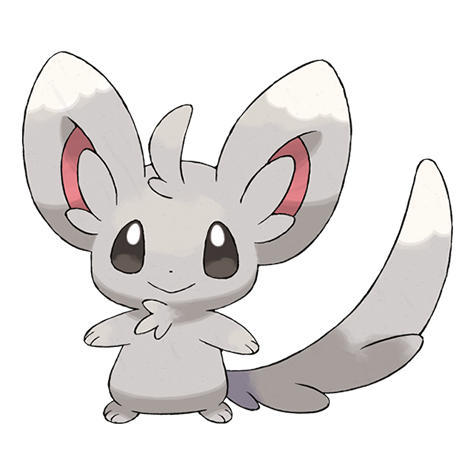 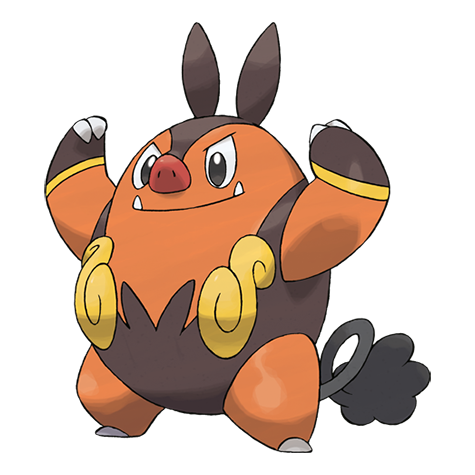 Iris’s new companion Emolga quickly neutralizes Bianca’s Pignite with its powerful Attract, forcing Bianca to send out Minccino. 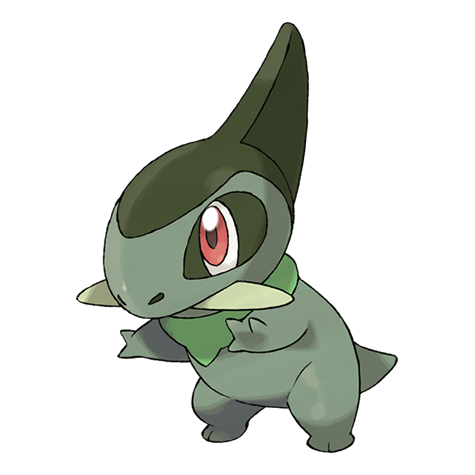 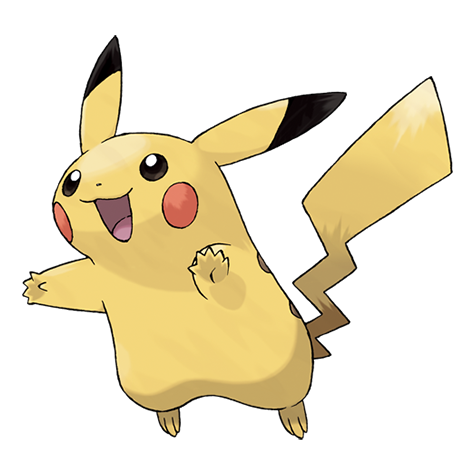 But Emolga quickly grows tired of the battle and uses Volt Switch to escape, then bursts into tears when Iris protests. 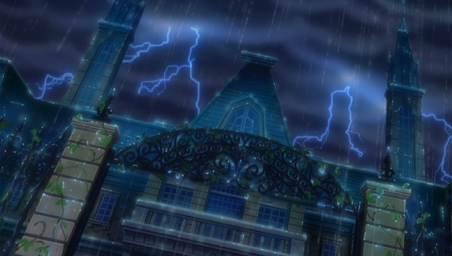 Iris and Bianca try to restart their battle, but Emolga isn’t interested, and keeps using Volt Switch to get away. 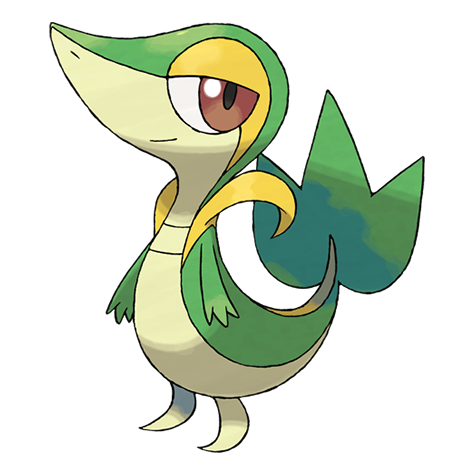 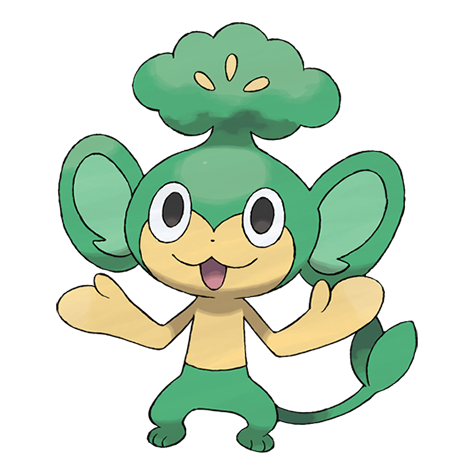 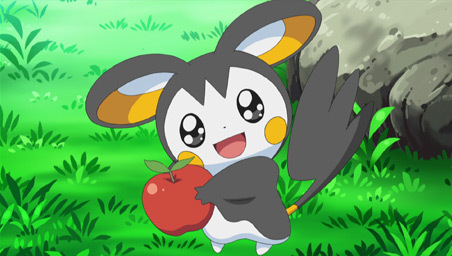 Cilan calls a halt to the battling for lunchtime, and while everyone is eating, Emolga sneakily uses Attract on several of the male Pokémon in order to steal their food! 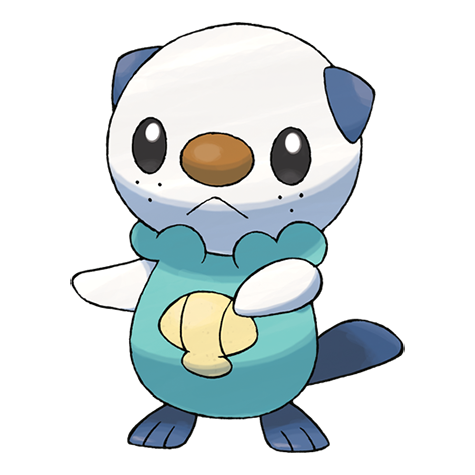 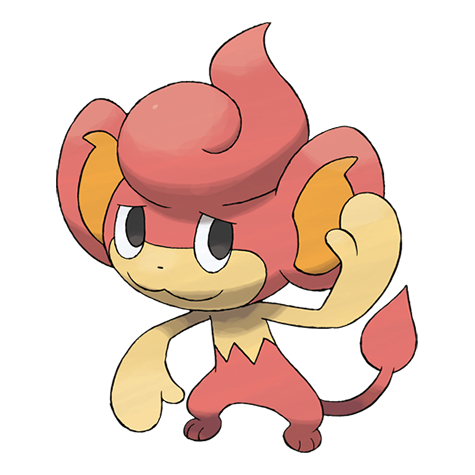 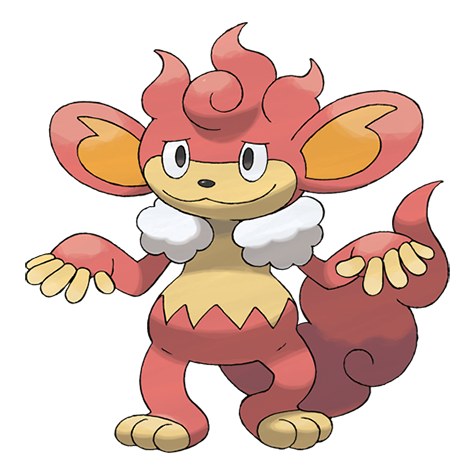 But once again, the cute Pokémon turns on the charm to defuse the situation, and then wanders off while the others are grabbing a post-lunch nap. 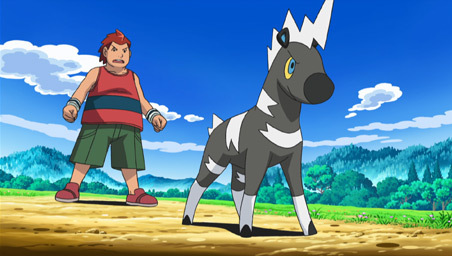 The still-smitten Axew and Oshawott follow, and it looks like Emolga is just trying to get everyone in trouble again…but Emolga’s true concern for its new friends reveals itself when an encounter with a menacing group of Watchog and an angry Simisear puts several of our heroes’ Pokémon in danger. 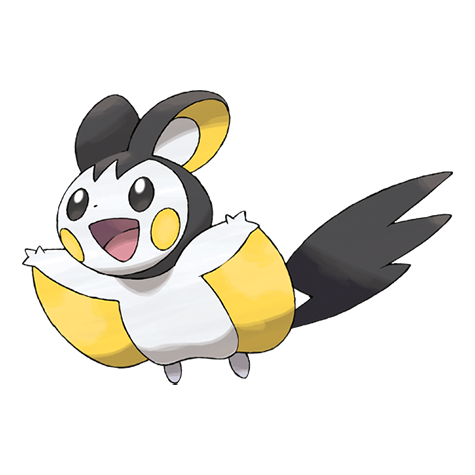 Emolga finally springs into action and battles magnificently, saving the day! 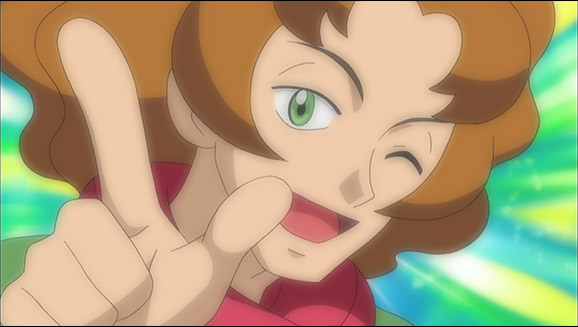 In the aftermath, Bianca learns that Ash recently won his third Gym Badge, so she says goodbye to our heroes and heads back to the Castelia Gym to earn the Badge for herself. 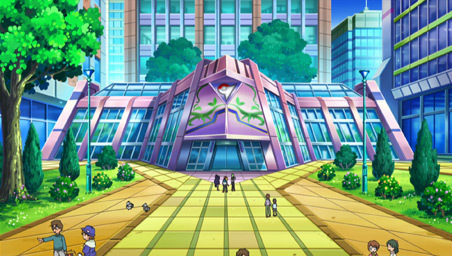 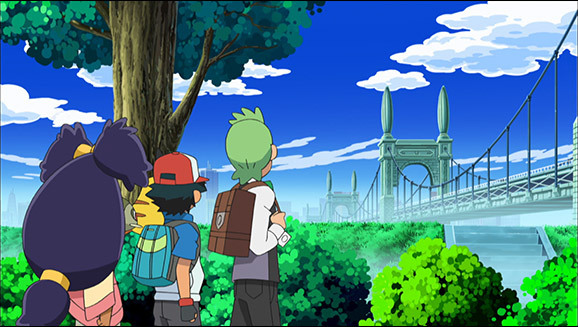 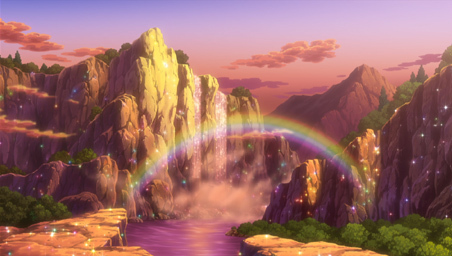 Ash, Cilan, and Iris once again set their sights on Nimbasa City!